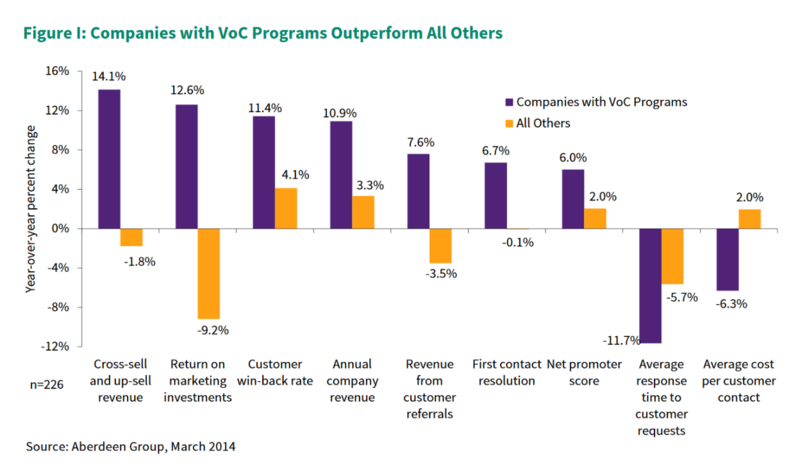 Why Voice of the Customer (VOC)? In today's challenging business environment, organizations cannot thrive without listening to their customers. That's why listening to the Voice of the Customer (VOC) is so important. So what is Voice of the Customer? It is an in-depth process that is used to gather customer requirements and feedback in order to provide customers with best-in-class services and/or products. The benefits to using VOC principles cannot be overstated. When a business has a VOC process in place, regularly discerning and delivering what customers want is no longer a guessing game. Businesses will know what products and services their customers want, so they can give them what they want! Whether the focus is using VOC techniques to determine customer satisfaction levels with current products/services, or capturing feedback to develop new products/services, consistent use of VOC principles is a must. For those of you who have been involved in New Product Development (NPD) efforts for some time, you've probably experienced the unfortunate event when a newly launched product failed to thrive in the market. The shortfall may have been due to changing customer demands. Or the product may not have functioned as the customer intended. In either case, a lot of resources were likely wasted to achieve mediocre results...poor sales and ROI. There's a good chance that this failure could have been avoided if VOC activities has properly occurred during New Product Development (NPD) efforts. This is why capturing VOC is so important! In the end, the consistent use of VOC principles can take organizations to the next level in terms of profitability and pleasing their customers. And who doesn’t want that for their business! If you are interested in learning more about our VOC services, contact us! We'd be happy to discuss with you the benefits of VOC systems. You don't have to take our word for it when it comes to the importance of VOC! Download the file below to check out a study conducted by the Aberdeen Group. The more you engage with customers, the clearer things become and the easier it is to determine what you should be doing."